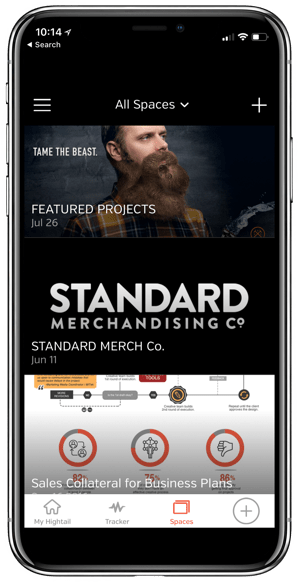 Collaborate effectively wherever you are with the Hightail mobile apps for iPhone and Android. View files, leave comments, approve work and upload photos or videos right from your device’s library. 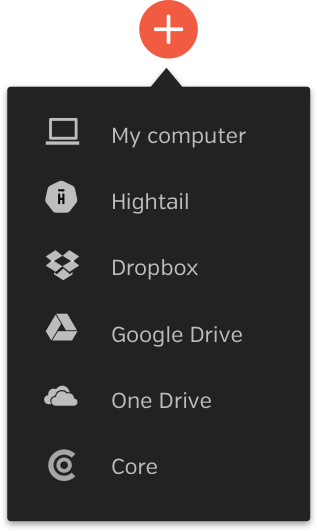 Connect Hightail with your Dropbox, Google Drive, Microsoft OneDrive and OpenText Core accounts to easily upload files and collaborate in Spaces, no matter where your files are stored. Hightail has a new integration with OpenText Core, where you can send files to Hightail from Core, and lock them from further editing in Core while they are under creative review. Ready for the next version? Simply unlock and upload. 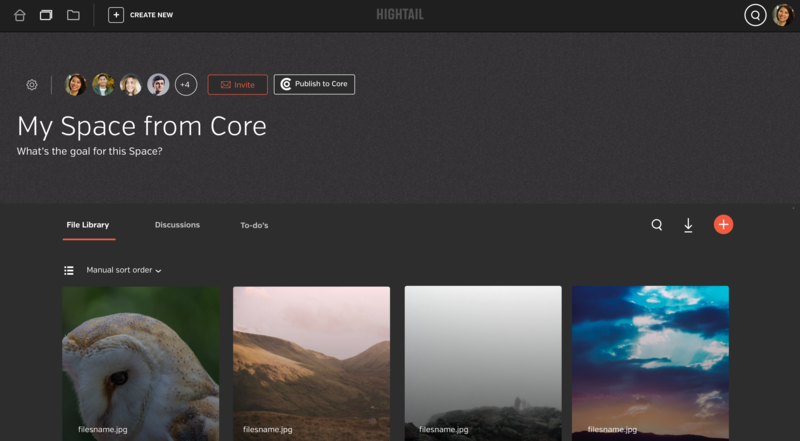 Designers can now save more time with the Hightail plugin for Adobe. 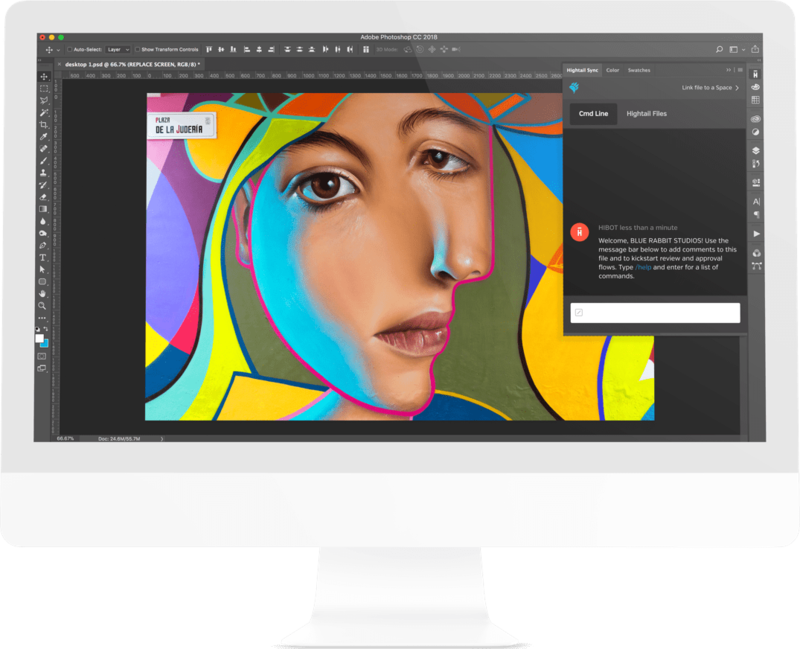 Upload new files, add comments, respond to feedback and tackle to-dos all from the Adobe Creative Cloud Applications.